Depeche Mode’s 14th studio album is a stark return to the beseeching sociopolitical narratives of the “People are People” era, blended with a pointed and seething frustration that creeps across its consciousness. This comes via tracks like “Scum” and debut single “Where’s The Revolution?” This is unmistakably Mode’s thinly veiled call to action thrown through a valve of conspicuous consternation, which, at times, feels more like tomato tossing than listener empowerment. The tone of Spirit is pontifical and finger-wagging intertwined with moments of humorous cynicism and brassy resignation. In contrast to the exalting frontline single “Heaven” of their last album, “Where’s the Revolution” blasts the listener with pseudo-motivating reproach and morally decisive messaging. Married with a music video chock-full of socialist iconography and tongue-in-cheek Marxian facial hair, it’s apparent that the boys from Basildon have had enough with mincing words. Legendary lead songwriter Martin Gore crooning the F-bomb in the closing track might be deemed a high watermark of this the band’s canonical career. Contrary to its decidedly Depeche title, Spirit is sparse of the traditional internal devotional contemplations. Clearly, this current moniker hearkens to an unavoidably loud contemporary cultural zeitgeist more than any intimately personal spiritual notions. The album is comprised of a tensely balanced synth-pop sensibility with a blues influence while remaining transparently true to the Gore songwriting style, inclusive of the integration of several collaborations à la frontman Dave Gahan and members of the longstanding touring band. 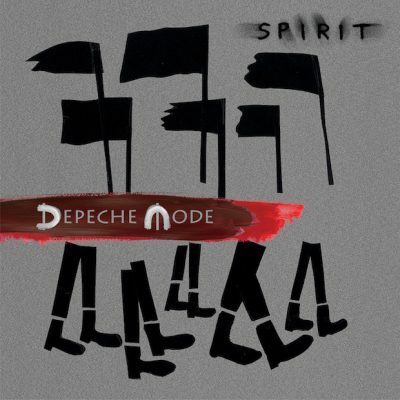 For all its politically macro meditations, Spirit still manages to maintain a delicious intermixing of choice tracks such as “You Move,” which momentarily revisit Depeche’s more indulgent and lascivious side. Spirit’s track list is punctuated with lumbering and dense moments of curiously placed distortion and oddly crafted dissonance. Aligning with the standard Depeche machinations, the listener is maneuvered through thick electronic beats that march alongside entreating lyrics to somnolent, brooding ballads. “The Worst Crime” and “Eternal” are tracks that tend to feel heavy-handed and drippy, furthered by Gore’s gorgeous albeit melodramatic vibrato. Track 9, “So Much Love,” hangs on laborious, mangled, detuned synths in clunky juxtaposition to a lyrical insistence that “there is so much love in me.” The sentiments of Spirit ring sincere yet are prone to feeling fatiguing and overwrought, as though the didactic imperative of one of the world’s most successful bands pressurized until it burst at the seams. After three-and-a-half decades of global, gargantuan pop presence, it appears Depeche Mode are returning to their mid-’80s narrative roots with a grander fervor than ever before.